At this point, the evidence is clear: the cloud has transformed the way we deliver value to our customers. Nowhere has this been more apparent than with generative design, a new technology that uses cloud computing and artificial intelligence to accelerate design exploration beyond what’s humanly possible. That’s why we’re working with Amazon Web Services (AWS) to offer even more compute power to the first 1,000 new subscribers who want to get started with generative design. The program will officially kick off this summer on July 1st and will be available to new annual subscribers of Fusion 360 Ultimate, ending on September 30 or as soon as 1,000 new subscriptions have been claimed. With AWS, Autodesk has long been working toward providing solutions that leverage the broad connectivity and raw computing power of the cloud. Generative design is the latest technology to join our lineup of cloud-powered manufacturing tools. Designers and engineers can use it to quickly generate a set of high-performance design options based on their specific constraints (like materials, weight, or manufacturing methods). The cloud allows for rapid exploration of dozens or even hundreds of possible solutions in the design space. Engineers can then consider and judge between the different options that best meet their needs. 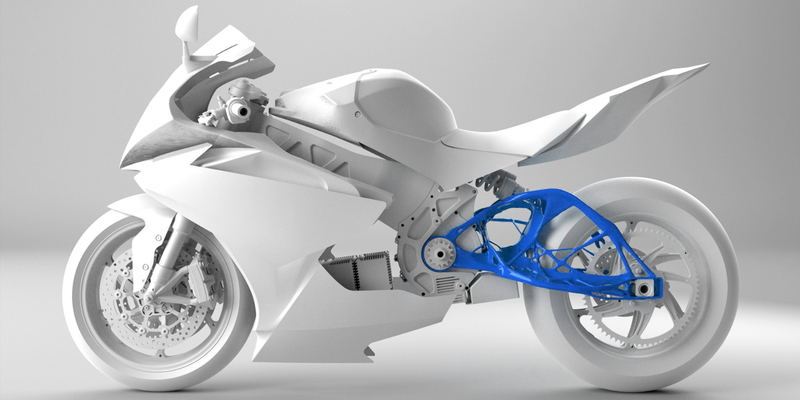 Customers like GM, Airbus and Lightning Motorcycles have already invested in generative design to develop products that are higher-performing, lighter, or require fewer parts than their predecessors. 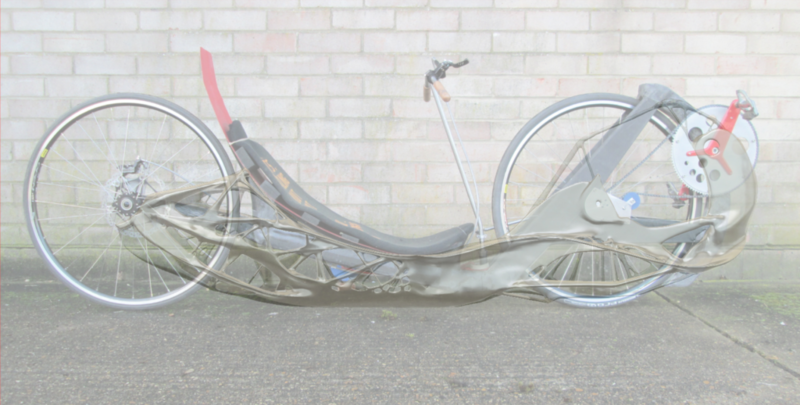 Generative design isn’t just transformative for the product development process; it’s a scalable technology with the potential to disrupt the manufacturing industry— for the better. 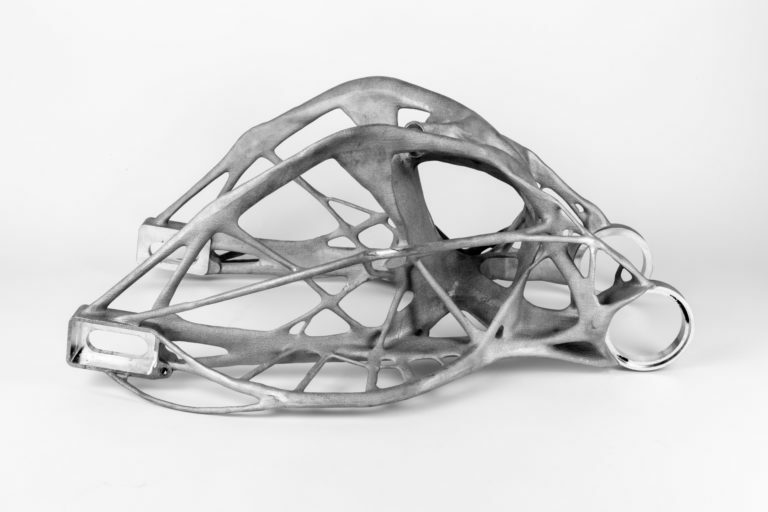 In April, we officially introduced generative design as part of our Fusion 360 Ultimate offering— an all-in-one product development tool that lets you design, engineer and manufacture products in a single, cloud-based environment. To perform generative design studies, users can apply cloud credits (1 cloud credit=$1) to run the service in the cloud without disruption or delay. Every subscriber already receives 1,000 cloud credits with their Fusion 360 Ultimate subscription. Through our collaboration with AWS, for a limited time we are able to offer an additional 500 credits (for 1,500 total credits) to the first 1,000 new Fusion 360 Ultimate subscribers, empowering them to take advantage of generative design. Think of it as a “starter kit”—a way to get your feet wet with this promising new technology. 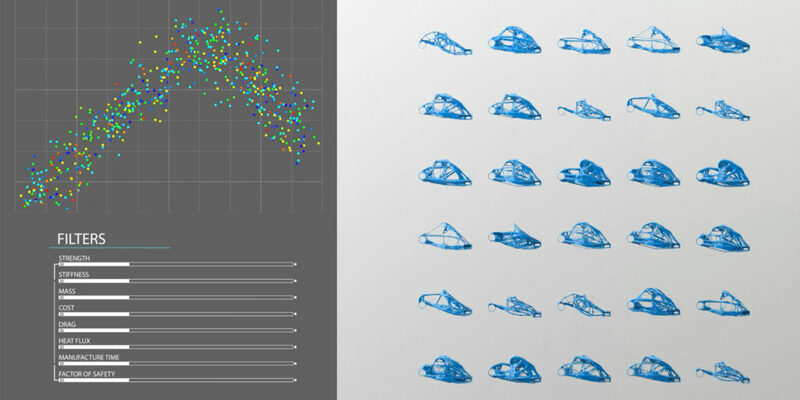 Fusion 360 Ultimate subscribers can use cloud credits to perform generative design studies (25 cloud credits), explore options, and download their chosen design (100 cloud credits). Customers who take part in this offer will be able to complete several design studies with their 1,500 credits. We want to lower barriers for our customers, not raise them. No matter what CAD package you use—be it Solidworks, Inventor, Solid Edge, NX or Catia— our AnyCAD technology enables interoperability with other CAD programs so you can use your data any time—and anywhere—you need it. This means you can bring your generative designs into the software that you’re most comfortable using, thanks to seamless associativity with Fusion 360 Ultimate. Rendering of Aim93’s external aerodynamic faring. Aim93’s generatively designed chassis overlaid to the prototype hand-built carbon frame.